How to use a Glucometer? Diabetes is one of the most common ailments in our country. It is estimated that nearly 50 million people in India suffer from Diabetes. Early diagnosis, regular monitoring and treatment is key and a Glucometer is now a common feature in most households with people suffering from Diabetes. Every Glucometer works differently and following the right steps is important to get proper readings. Read the manual carefully to understand the instructions before using the Glucometer for the first time. Wash and pat your hand dry before operating the device. Insert the test strip into the machine. Be careful to avoid touching the area meant for the blood sample. Take a fresh, sterile lancet or needle to prick your finger tip. Squeeze and massage the fingers before the prick and place a drop of blood on the test strip. Wipe the pricked site with clean cotton while waiting for the result. Dispose the used test strip and lancet properly; to avoid contamination and cross infection. The ideal place to take blood is from the fingertips, but alternately can be taken from the forearm or palms but the results may vary. 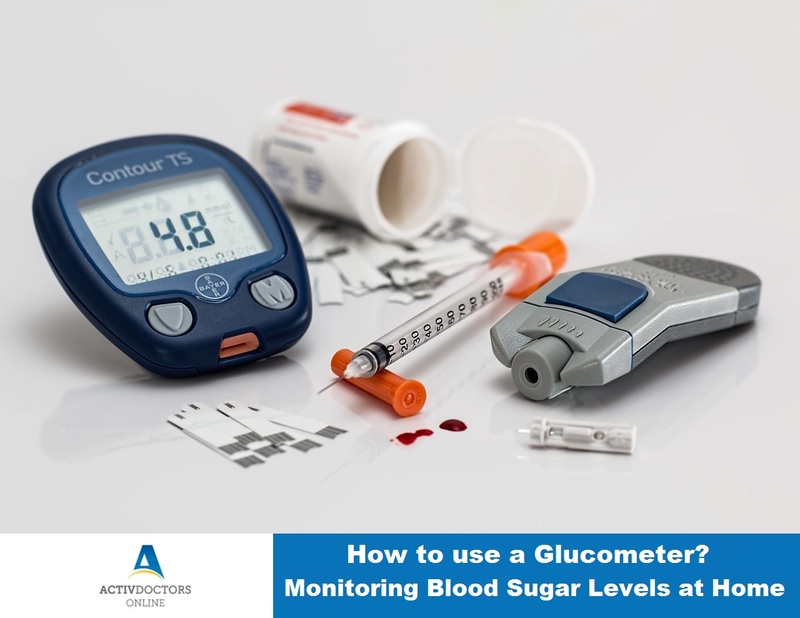 Glucometers help in monitoring sugar levels at home, and should not be considered superior to investigations done at a diagnostic centre/lab. Frequent monitoring of blood sugar levels at home is advisable to avoid untoward changes in glucose levels and remain worry free.